Nokia N9 countdown source code says August, not September? Update: er nevermind. Today we saw the Nokia N9 countdown page at Nokia Sweden’s swipe page. The countdown put the expected date on the 23rd September, a date previously confirmed by both Nokia Sweden and carrier/network Three in Sweden. Eagle Eyed Milan noticed something odd in the source code and tipped this in. 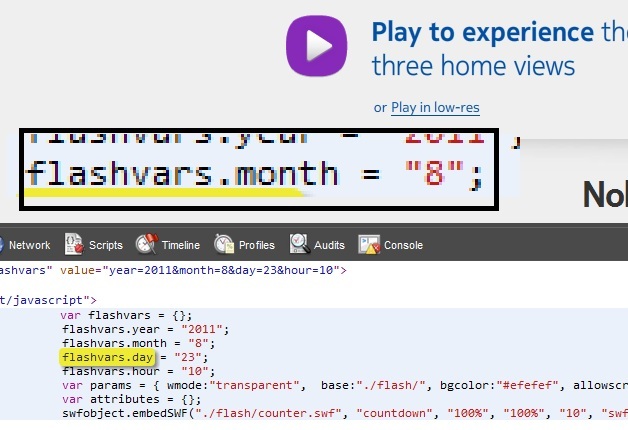 On Month, it says 8, August and not 9. Yesterday we also heard from Nokia Malaysia that the N9 is coming in a few weeks. Is a few weeks 6-7, or just under 3? « Nokia New Zealand: “Symbian Anna available”?